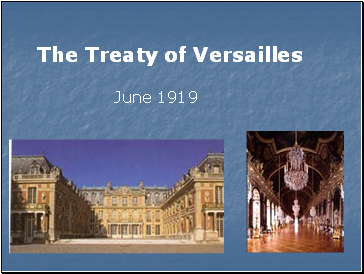 What did France want from the treaty? 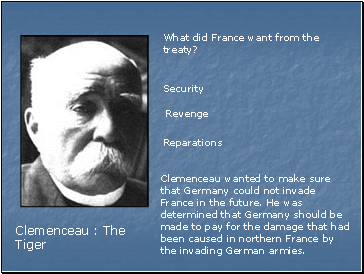 Clemenceau wanted to make sure that Germany could not invade France in the future. 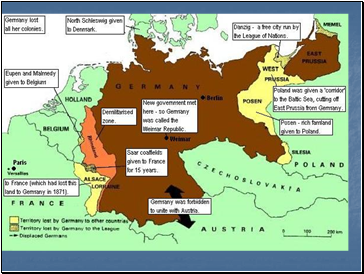 He was determined that Germany should be made to pay for the damage that had been caused in northern France by the invading German armies. 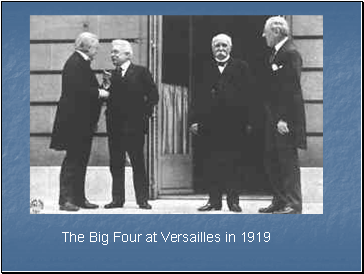 In public Lloyd-George said he wanted to punish the Germans. 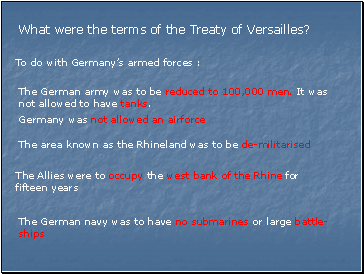 The British public was very anti-German at the end of the war. In private he realised that Britain needed Germany to recover because she was an important trading partner. He was also worried about the “disease from the east”, communism. The Russian government had been overthrown by a communist revolution in 1917. 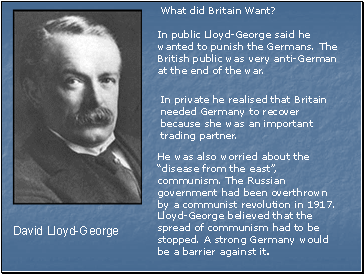 Lloyd-George believed that the spread of communism had to be stopped. A strong Germany would be a barrier against it. The American public did not support him. 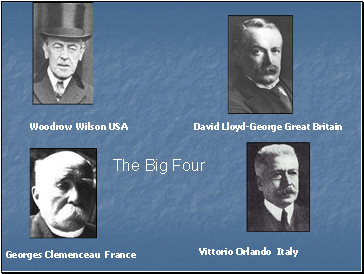 They were fed up with involvement in European affairs. 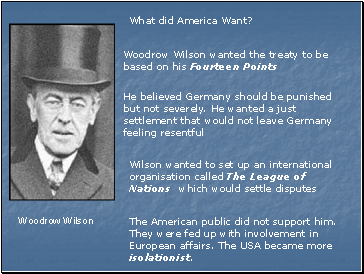 The USA became more isolationist. 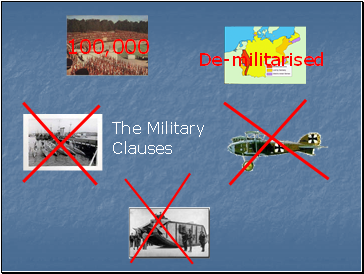 The German army was to be reduced to 100,000 men. It was not allowed to have tanks.